Before you make the decision, take the time to consider whether full-time or day care is right for your situation. Our emphasis is on providing person-centred care within a home environment, we strive to ensure that our residents and day-care visitors feel at home and well cared for. At Dunley Hall we pride ourselves on ensuring our clients are ready to join us, and if so we strive to ensure the transition 'from home - to care home' is a smooth one. Please read through the following advice from NHS Choices, we will be happy to answer any questions you have and will help you evaluate your own situation confidentially. If you're looking for a residential care home, there's a huge variety of options available. There are permanent care homes for older people, homes for younger adults with disabilities, and homes for children. Care homes may be privately owned or run by charities or councils. Some will be small care homes based in home-like domestic dwellings, while others will be based in large communal centres. One of the first options you have to consider when choosing residential care is whether you need the care home to provide nursing care, or just standard personal care. Going into a care home is a major commitment for your future - it involves changing where you live and potentially committing to paying a considerable amount of money for your ongoing accommodation and care needs. Before you opt for a move to a care home, you should think about other less disruptive - and potentially less costly - options, including home care or help to live independently at home. You should also consider whether you really need the amount of care on offer at a care home, and look at alternatives such as "extra care" housing schemes or warden-controlled sheltered accommodation. These options offer independence with an increased level of care and support. Care homes for older people may provide personal care or nursing care. A care home registered to provide personal care will offer support, ensuring basic personal needs are taken care of. A care home providing personal care will assist you with meals, bathing, going to the toilet and taking medication, if you need this sort of help. Some residents may need nursing care, and some care homes are registered to provide this. These are often referred to as nursing homes. For example, a care home might specialise in certain types of disability or conditions such as dementia. The law states that where the local authority is funding accommodation, it must allow a person entering residential care to choose which care home they would prefer, within reason. Social services must first agree the home is suitable for your needs and it would not cost more than you would normally pay for a home that would meet those needs. Local authority help with the cost of residential care is means-tested. You are free to make your own arrangements if you can afford the long-term cost. However, it is worth asking the local authority for a financial assessment, because it might pay some or all of your care costs. Check the most recent inspection report to see how well the care home is doing and if there is anything of concern. You can get inspection reports by searching for the care home on the Care Quality Commission website. 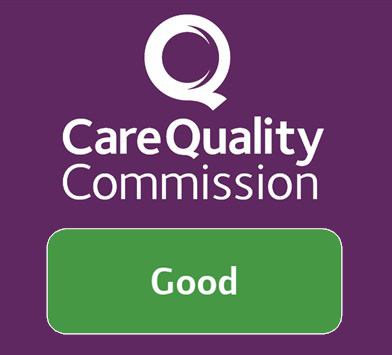 The Care Quality Commission (CQC) is the regulator of health and adult social care in England, whether it's provided by the NHS, local authorities, private companies or voluntary organisations. Under existing rules, independent healthcare and adult social services must be registered with the CQC. NHS providers, such as hospitals and ambulance services, must also be registered. The registration of organisations reassures the public when they receive a care service or treatment. It also enables the CQC to check that organisations are continuing to meet CQC standards.